Disc brake bikes are coming thick and fast, but the new Specialized Tarmac Disc is one with a difference. When Specialized unveiled the new Tarmac last year, the bike really couldn’t have had a better start in life. 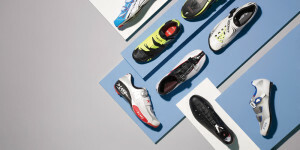 In the space of a couple of months it carried Vincenzo Nibali to victory at the Tour de France and Alberto Contador to a win at the Vuelta a Espana. But the real game changer, according to Specialized, was the bike that no pro was allowed to ride – the Tarmac Disc. Unlike many brands, though, Specialized hasn’t restricted disc brakes to its endurance line, and has equipped its flagship Grand Tour racer with the new technology. 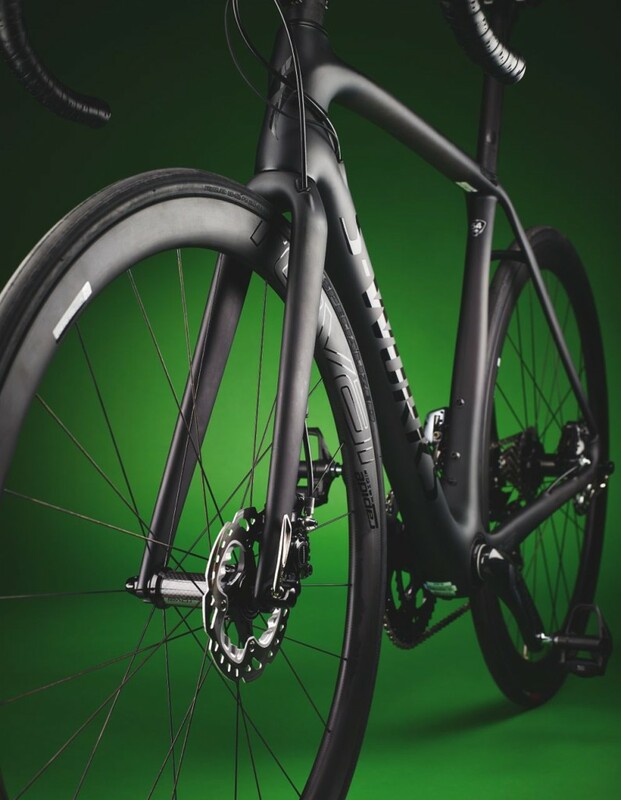 Having undergone three years of development, the company hasn’t cut any corners on the Tarmac Disc, and has added only minimal weight over the rim brake model. This complete build comes in at only 7.05kg, just above the UCI minimum weight limit. More importantly, Specialized has attempted to make the ride quality and handling identical. To make that happen, though, it’s had to reinvent the wheel. To address the potential chainline issue, Specialized designed a completely newwheel. ‘Our wheel brand, Roval, worked on the cassette technology to bring the cassette inboard to keep the chain in-line so we can shorten the chainstay by 12-16mm across thesize range to keep that rear end as tight as we can and ensure the bike still handles the same way that the rim brake version does,’ says Riekert. While the Roval CLX 40 hub remains at 135mm wide (standard for disc brake hubs, compared to 130mm for rim brake hubs), Specialized has actually shifted the freehub body 2.5mm inwards to make for a straighter chainline while using the shorter chainstays. It means the position of the cassette relative to the chainrings is the same as for the rim brake Tarmac, but does currently lock owners into using the Roval wheelset, which comes as standard with the frame. ‘It’s our honest hope that if the Treks, Colnagos and Pinarellos start picking that up we can all start developing wheels on a larger scale,’ Riekert says. We’ll have to wait and see whether other brands follow Specialized’s lead or not, but with disc brakes set to be tested in the peloton later this year, the Tarmac Disc may well be ridden by a Tour de France winner sooner than we think.